Info: 3 BR, 2 BA with over 1250 square feet. Misc: Amazing views from this Gulf Shores Condo at Sailboat Bay. This quiet, gated marina complex is one of the last hidden jewels in the area Community amenities include an exercise facility, 2 salt-water pools, newly resurfaced tennis, etc. This home includes an assigned boat-slip, and is near the elevator. Two decks, the one upper deck has views of Marina, Mobile Bay, Bon Secour Bay, and Bon Secour River. Info: 1 BR, 2 BA with over 650 square feet. 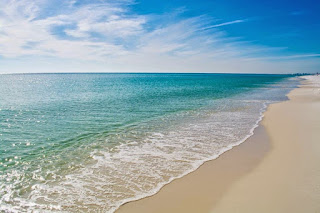 Misc: Royal Palms condos in Gulf Shores are situated adjacent to the Gulf State Park! This resort home has tile flooring throughout, hallway bunks and two bathrooms. Community amenities include an outdoor pool and indoor pool, fitness facility with steam-room, etc. Info: 2 BR, 2 BA with over 620 square feet. Misc: This Las Palmas condo in Gulf Shores is being sold unfurnished – a blank canvas ready to be decorated to suit your own style. The balcony has a water-view of the peaceful Little Lagoon. Community amenities include two outdoor Pools, BBQ grills, laundry room, and covered-parking.